Now for the ordinary, explaining Sauce is difficult. Why? Because of the cultural impact it is currently having on society. The perception of Sauce, to the outside looking in, may seem to be just a phase or trend, but the feelings of the believers in The Sauce Factory, are contrary. To them, Sauce is deeper than a trend; it’s a culture, and their music is deeper than rap; it’s reality. In fact, it’s more than a reality, it’s a belief. The members of The Sauce Factory religiously have faith in the Sauce, thus they all tatted “TSF” on their faces and titled their latest project. In Sauce We Trust. ISWT includes a plethora of hits; featuring a few heavy hitters of the city: “2 Legitied to Quited”, “Money Fever” ft. Slim Thug; “Drip” ft. MC Beezy, and “Flava in Ya Ear” ft. Kirko Bangz. TSF has worked with nearly every credible Houston artist, the hottest hometown rappers, and some of the biggest rappers in the industry right now. They have a huge following ranging from grown-ups, to teenagers and kids. Even Clutch, the Rockets’ mascot, is riding the Sauce wave. “The whole city is behind the Sauce wave from the tall to the small,” said Sauce Walka. Through all of the attention and popularity garnered, Sauce Walka is still not flattered by its success. Rather than being surprised, he expressed more conspicuous feelings. 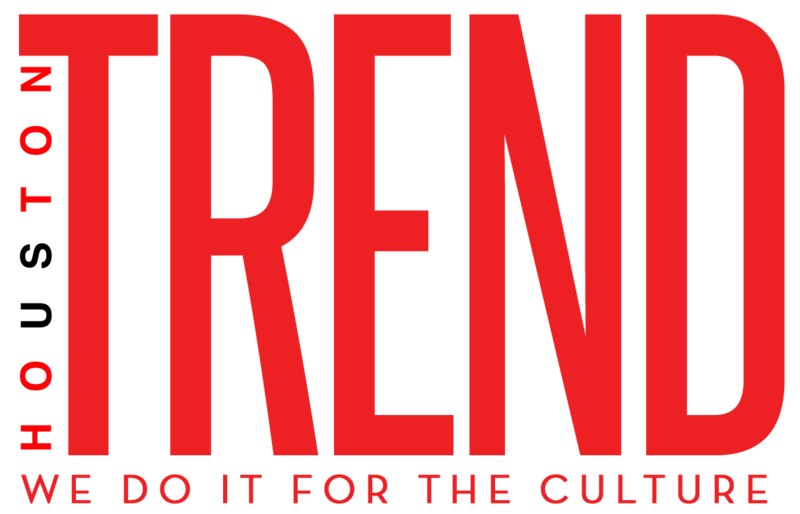 In a recent interview with the Houston Press, Walka states, “We [The Sauce Twinz] don’t rap, we preach.” Hence, I bring you the New Testament of the Sauce Religion. The New Testament: Chapter 1 The Sauce Christians- The Sauce Twins and the other prophets of the Sauce Religion. The pimping, drank sipping, money getting conversationalists better known as TSF, are fore fronted by two individuals, The Twinz. 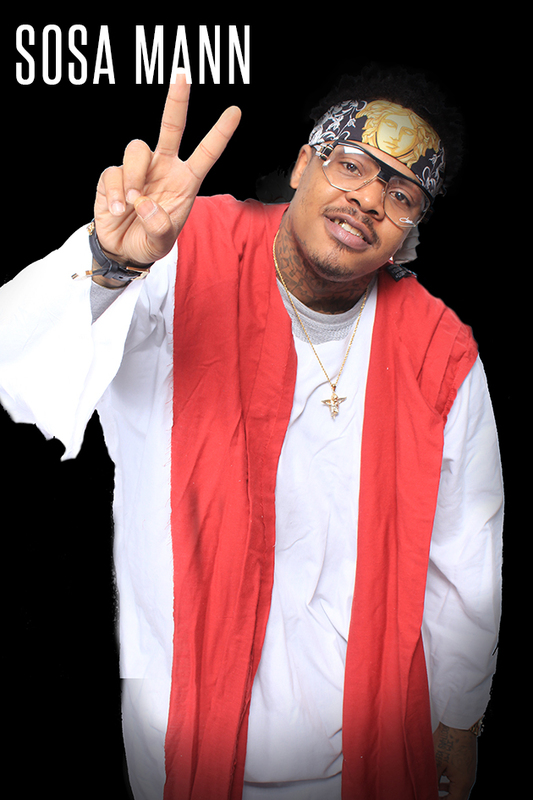 Sauce Walka, the dark-skinned twin and Sancho Saucy, the light-skinned twin, are the two catalysts chosen to preach and teach The Sauce Religion. They were born “crack babies” as they would call themselves and just like anybody who grew up in troubled areas, they faced much adversity during their problematic adolescence. Yeah one is light skinned and the other one dark skinned. They aren’t identical or fraternal, but they’re twins. Is it making any sense yet? They don’t have the same mother, but they’re brothers. They act totally different, but they have so much in common. Sigh…… If you don’t understand, please excuse me for putting you in this saucy situation. The Sauce Twinz are the chosen ones to preach and teach the Sauce Religion, but they aren’t the only ones. They receive much help from their solid camp, TSF. The Twinz spread the gospel of flavor over the Southeast side, which is considered to be the heart of Houston. And on the Southwest side, you have Doughboy Sosamann. Because of the areas of town they’re from, Sosamann and Sauce Walka weren’t always allies. 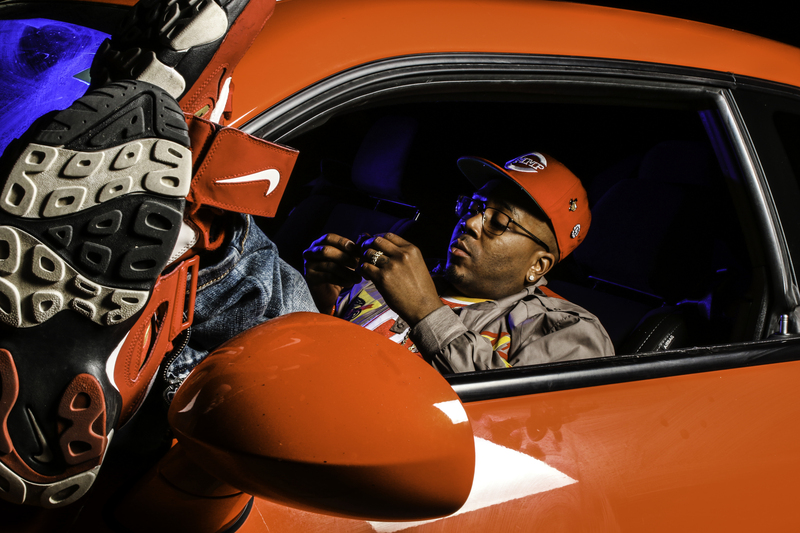 Walka calls the Southeast side his home, but real followers of his music know that he once resided in Missouri City and made music with a group called Mash Mode under the name A. Walk. 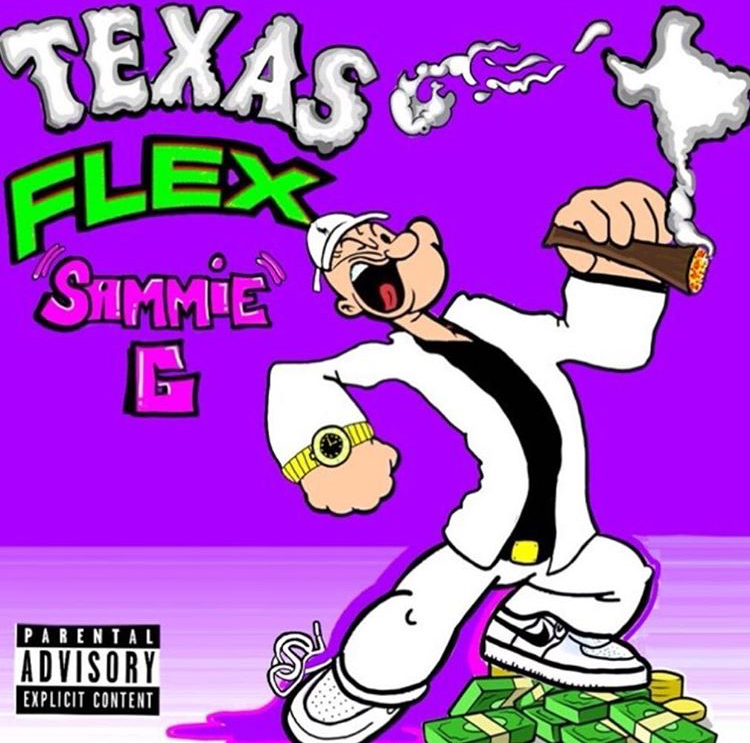 And although Sosamann reps Breaswood where the big B’s are from, he also ran in Alief, the Southwest, with a group called G-Mob. Mash mode and G-Mob were arch rivals, but for the sake of blessing the world with the flavor, they ended their disputes. 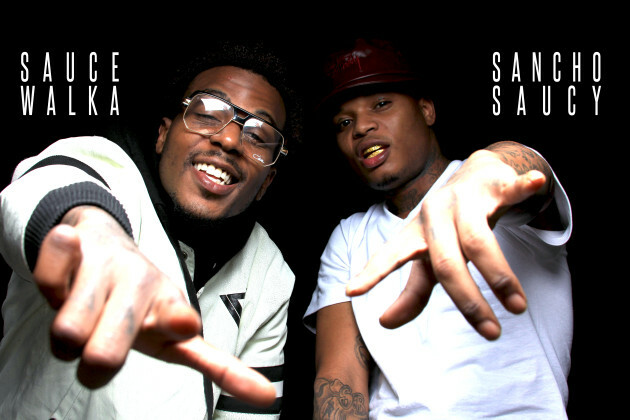 Since uniting, Sosamann’s “Did a Whole Lot” song, which sums up their lifestyle outside of music, has reached number one on both of Houston’s hip hop radio stations 97.9 The Box and 93.7 The Beat. 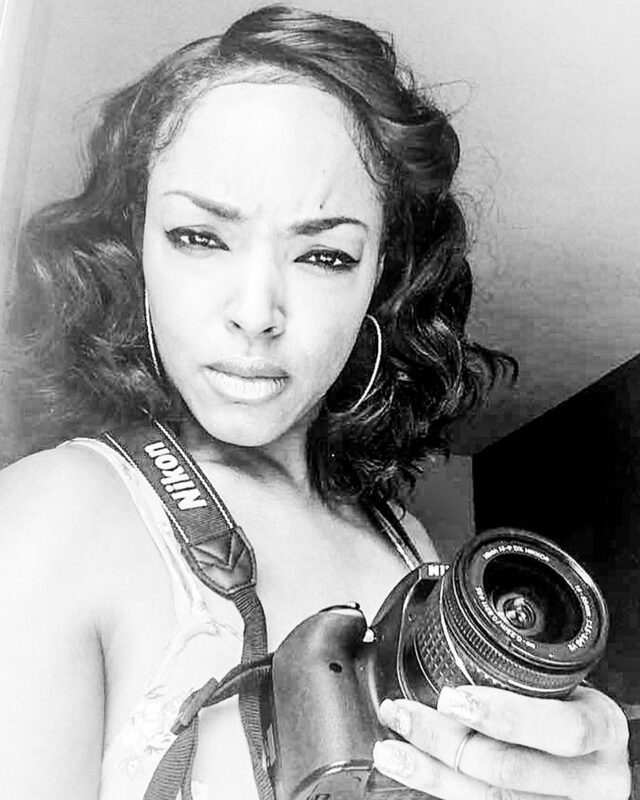 The music video shot by Houston director, Michael Artis, appeared on MTV Jamz numerous of times. And with the help of Moe Gang group member, Lil 5th Ward J.P., Walka was able to spread the sauce flavor to the Northside, helping cultivate the Sauce Religion even more. 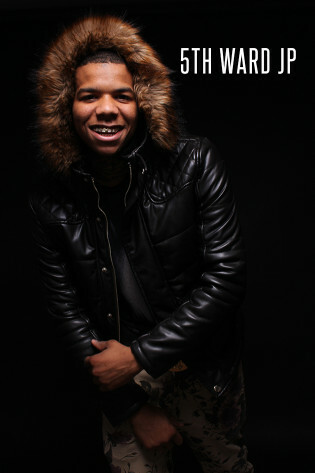 Prior to joining TSF, Lil J.P. was on the up rise, in his own right, when his song “Lil J.P From Dat 5th Ward” went viral. The sauce influence on Lil J.P., led him to recruit fellow Moe Gang member, Rizzoo. He and Rizzoo both admitted to believing in “Sauce” before they arrived at TSF, they just did it inadvertently. “We were saying sauce in our group, but didn’t know they [Sauce Walka and Sancho] were living it; why not live it! Now we’re living it. 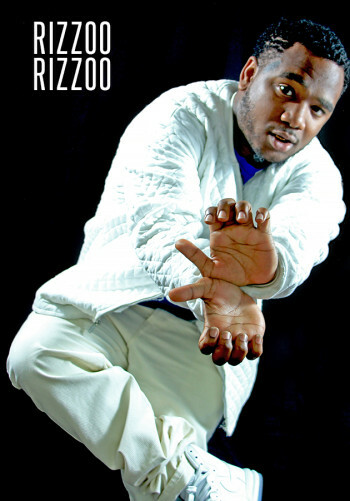 It was in us, they just brought it out of us,” tells Rizzoo. Not only did Walka and Sancho bring the style of sauce out of Lil J.P and Rizzo, but everybody. And they couldn’t do it without the person who keeps the factory producing sauce, manager Sauce Diddy. Previously, Sauce Diddy was known around Houston as a rapper named Kisobama. When he heard Sauceamania mixtape about nine months ago, he knew this thing could take off. He stopped everything he was doing, reached out to Sauce Walka and TSF has been dripping ever since. His role in the Sauce movement is crucial and since becoming TSF’s manager, he eats, drinks, sleeps and breathes sauce. The New Testament: Chapter 2 the definition of Sauce. Sauce is defined as better form of life style. The entire Sauce Family would define it as “freedom.” Could the explanation of Houston’s biggest movement since the grey tapes really be that simple? Sancho Saucy thinks so. The self-proclaimed “Sauce Master,” who is the relatively quiet Twin, defines Sauce in the most simplistic manner. According to Sauce Diddy, the movement started nine months ago after the release of the Sauceamania, mixtape. But if you ask Sauce Walka, just like a religion, Sauce has been around. To him it’s ancient. He says Houstonians and others, who’ve resided in the Southern regions of the map, always had Sauce, but couldn’t identify it. “[It was] the beginning of time. That’s when the whole world started. Everything before then didn’t matter. We are living the way people have been living, but haven’t been able to find a way to put a title on it. We noticed what the industry has been taking from us and claiming it like it’s theirs. I feel like we touched apart of people’s hearts in Houston, on a hometown side. Houston has been waiting for the right people to come in, stand up and speak on that belief system,” says Walka. Just being elegant and living in Houston gives you Sauce. Why? Because that’s where real playas get choose. But the Sauce doesn’t just stop in Houston; it’s the whole Southern region according to Walka. For example, from 2005-2009, Dallas had a huge movement and it too hit Houston. For a while you saw high top juice cuts in guy’s hair. The hottest dance was the Dallas boogie, and all of the clubs played Fat Pimp, a hot Dallas artist. When the Dallas wave hit Houston, initially, it seemed to be a culture change, but Walka explains that, “it too was Sauce; Houstonians were just ignorant to it.” Sauce Walka too had to get educated on a culture that was bigger than Houston. So when Sauce Walka says Sauce started in the beginning of time, again he is making perfect sense. The evidence is written in the music. Let’s take it back. The Old Testaments- Genesis: The creating of a culture. The Transition from The Grey tapes to The Sauce. In the ‘90s and early ‘2000s, Houston had a vast movement within the city ignited by the late Robert Earl Davis, Jr. better known as D.J Screw. D.J. Screw created a unique style of producing music. He would take a beat and let local artists record on it. He would then slow the record down and double a few of the lines (chop). The finished production of the song was called slowed and doubled. The term slowed and doubled, eventually became known as chopped and screwed, becoming a culture in itself and creating a pivotal change within the dimensions of rap music. That’s when the Old Testaments of the Sauce Religion were written. D.J. Screw would sell the tapes from his own home and these tapes would garner a huge following. They started to grow popular in their neighborhoods because of the screw tapes and created the first sauce wave. People weren’t really listening to the radio; they were jamming screw tapes. Exodus: The great Sauce Wave. Drowned Screwston and turned it into Splash Town. D.J. Screw was Noah, his studio was the Arch and the music he played was the flood. That is when Houston was flooded with Splash. Thus creating Splash Town. D.J. Screw created a team called S.U.C, Soldiers United for Cash. Everybody who recorded in D.J. Screw’s studio weren’t rappers. All of them didn’t make music, but the ones who did, brought in a new title to the crew. Keeping the same acronyms S.U.C, they called themselves Screwed Up Click. That’s when S.U.C and its entirety were riding the Sauce wave, while the city of Houston was getting flooded with splash. It wouldn’t be too much longer until the radio station got on board. Back when Houston only had one major radio station, 97.9 The Box. Once they got a taste of the flavor of splash, they drowned in it. Old heads such as the late Fat Pat, Big Hawk, Big Moe, and Pimp C all became stars because of the Sauce. Houston’s house hold legends like Lil KeKe, Lil Flip, Big Pokey, Youngsta and Scarface all became hood super stars because of it. What the Sauce Twins are doing is what all of the falling legends wanted. It’s what they dreamed of. Everybody always talks about Martin Luther King Jr.’s dream. Well our falling soldiers had dreams too; ghetto dreams and Fat Pat put that on full display. On March 11, 1998 Fat Pat released his debut album titled Ghetto Dreams. On the album, he talks about everything The Sauce Factory is preaching on their latest project, In Sauce We Trust. To sum it all up, our falling soldiers rapped about the finer things in life, the diamond rings, money h–s and clothes and all those fancy things. Leviticus: The Birth of the Barre Babies. Supposedly, the most popular version of purple promethazine and codeine, Activist, has been banned from pharmacies nationwide. Why? Because the world has caught on to the Sauce and they went crazy. If you look at all the rappers from the Chicago and New York areas, there is a visible bottle of the illegal substance in almost every video. You can say they ruined the “drank” game; them and professional athletes. America had to put stop to it, but Houstonians have been doing the same thing discreetly. Back in all of the old school Houston videos, what do you think they’re drinking when you saw them drinking a beverage out of two styrofoamed cups? Yes, you guessed it! They weren’t drinking soda. So the question is, where do they get it from? Again, the answer is in the music. On the late Big Moe’s 2000 “City of Syrup” album, the very first song is a skit tiled, “Mama M.O.E.”. Big Moe’s mother gave birth to Kenneth Doniell Moore, aka Big Moe, born on August 20, 1974. At the end of the birth, the doctor revealed that her blood was contaminated with an “excessive amount of liquid form of heroin codeine.” Consequently, the doctor blatantly told her that her son would be a “barre baby”? His mother asked, what is a “barre baby”? Revelations: The Sauce Religion on a larger scale. 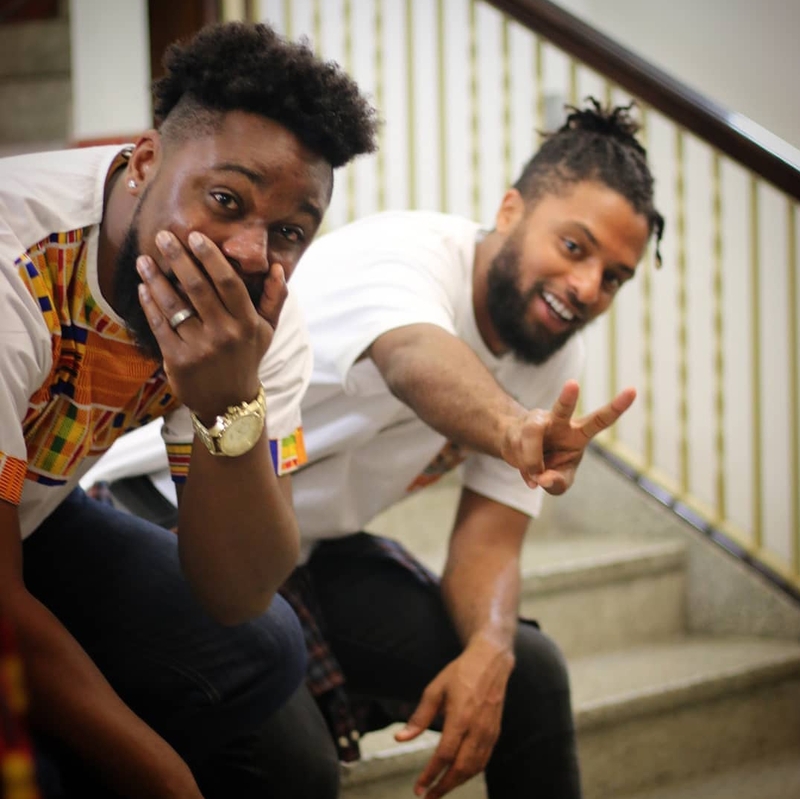 Houston has always had its imprint on the hip-hop industry, but now that the world knows who the Sauce Twins are. Houston has a face tattoo on the hip-hop game and it’s stamped “TSF”. 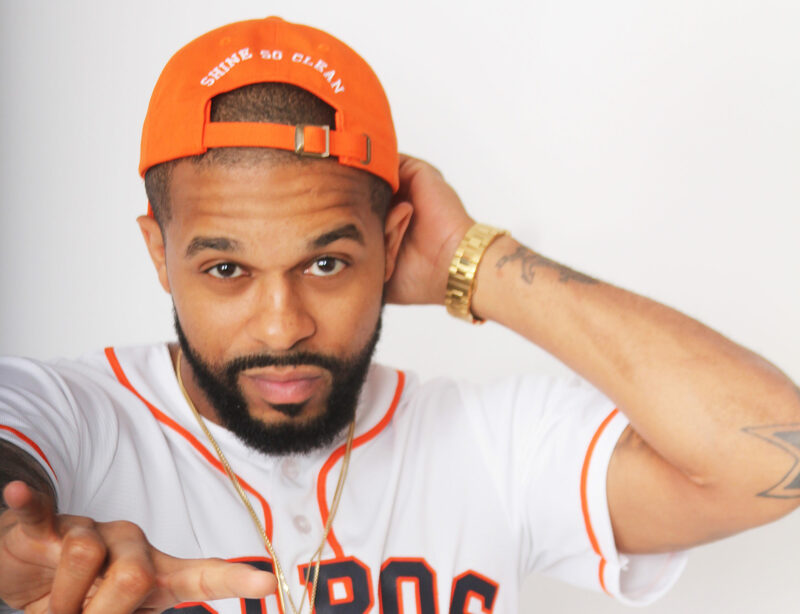 Uncertainty looms about when the Sauce wave actually occurred, but ever since Houston’s rapper Slim Thug endorsed them, by letting them drip on his remix to Yo Gotti’s “Errbody”, the world has gravitated towards the Sauce Religion. The Sauce Religion, not the Sauce Twins, explains why everybody in Chicago is broadcasting that they sip Promethazine and Codeine in all of their music videos now. It is why Asap Rocky wears gold teeth and incorporates chopped and screwed style music in his craft. It is why in 2001, one the G.O.A.Ts of hip-hop, Jay-Z’s biggest hit was “Big Pimpin” that featured UGK. And we all know where Lil Wayne gets sipping beverages out of double Styrofoam cups from. One of his biggest artist, Drizzy Drake has followed the Sauce Religion. It’s no secret Drake, a known Houston ambassador with his own day in the city, would ride the wave. It just took a little help from V-Live’s celebrity disc jockey, D.J. Eric, to endorse them. “Shout out to D.J. Eric man. Eric had called him because he wanted to know about it [Sauce]. So Eric called him and told him about it,” recalls Sancho. The entire Sauce Factory has worked with Slim Thug, Trae Tha Truth, Propain, Scarface, Kirko Bangz, Kevin Gates, Drake, and Lil Boosie. 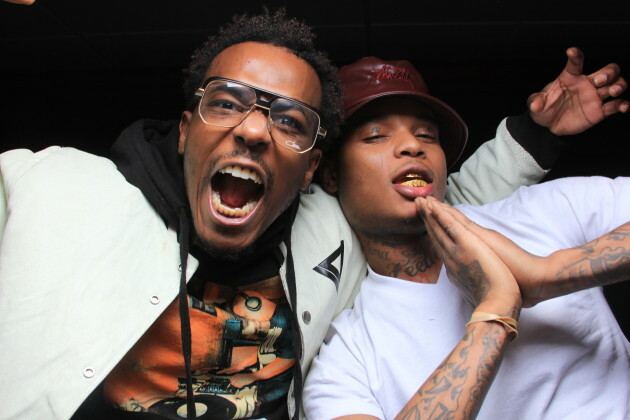 Most recently, The Twinz, received a paid feature to work with Think Its A Game Entertainment and record in PatchWerk Recording Studios, where Gucci Mane records. “They know we are worthy to be in that position. So now when artists come through the city they have to do music with us; if they got love for the city like they say they do,” tells Walka. Out of all the big names they’ve worked with, Sauce Twinz feel their best collaboration, besides working with anybody in The Sauce Factory, has been Southern hip hop icon, Lil Boosie on their song “Why Did I Do This”. As far as TSF goes, they will continue to spill all over the world. Members are currently working on new projects right now. New ideas are flowing, and this new genre of life is still spreading. Lil 5th Ward J.P is expecting to release a mixtape soon. His fellow Moe Gang member is working on Mike Saucy Tyson. He also said he’s going to be a fashion icon and going to make sure Houston gets credit for the things they introduced to the fashion world. Sosamann is working on Trap Out 2. And we can’t forget about those Twinz. The Sauce Twinz have huge aspirations of keeping Houston flavored with Sauce.